New Delhi: The process of bestowing national honors cannot be kept away from public scrutiny, the Central Information Commission (CIC) has ruled as it directed the Medical Council of India (MCI) to furnish information regarding Dr. B.C. 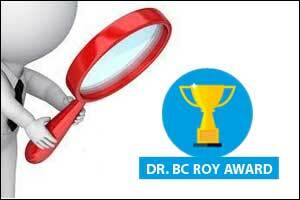 Roy National Award, conferred on ace doctors of the country annually by the President. The application was submitted to the Union Health Ministry, which transferred it to the Medical Council of India, the regulator of medical education and profession in the country. The MCI, however, did not respond to it satisfactorily. This prompted Natarajan to file an appeal against the MCI order in the CIC, the highest adjudicating body in matters pertaining to the Right to Information Act. He said Dr. B.C. Roy National Award is a national honor bestowed upon eminent doctors of the nation, which is considered as a highest recognition in the medical domain. “He (Natarajan) submits to have sought information regarding the selection process for awards given in years 2008 to 2010 by the MCI,” Information Commissioner Yashovardhan Azad noted. Though the BC Roy Award fund is registered as a society under the Societies Registration Act with members drawn from the MCI, still it does not partake a distinct legal character as far as access of information is concerned, he noted. “In the garb of functional autonomy, the parent body MCI cannot be said to have abrogated its right to access information from the society. The technical expertise extended by MCI in selection of awardees is crucial sole object of the society,” he said. Azad said the “entrustment of assessing the nominations” for the coveted recognition to the society established under the patronage of MCI will not make much of difference as far as access of information is considered. “The process of bestowing national honours cannot be kept away from public scrutiny. Any practice facilitating opacity will go on to diminish the sanctity of the honour and its past recipients,” Azad said as he directed the MCI to provide information within three weeks. Enquiry may also be undertaken as why most the recipients of prestigious awards are close to people who matter and who are residing in Delhi and many of whom happen to have treated people who matter most. I do not suspect that awardees may be buying the awards. Any award should be based upon objective criteria and not through nomination or recommendation.In case of medical awards, the voting system, performance assessment Eg.Publications, Books written, rare procedures performed, No. of surgeries/ health camps/positions held/achievements etc. should be assessed. Thanks Mr.Natarajan ji for such a brilliant query, in fact all of us want to know what are the parameters/criteria s were or are used to award such doctors. Keep it up, we have to clear more dust on such mysterious issues. Caste, region and recommendation may be the money plays a role in getting awards. I don\’t even what is the criteria for selection ???. One thing I am sure Dr B C Roy was unique, HONEST, Hardworking, intelligent and dedicated his life for the people and PROFESSION. WRONG people getting such award is likely to bring down value of such a award. I wonder everytime when i came to know that this and that doctors have received BC Roy awards. i wish to know about what are the criteria for getting this prestigious award.but didn\’t knew about the process.but this person gave wings to our curiosity. I hope now world will know about reality.